Well it's been a long time since I've written, hasn't it ? I don't know where the time went, but we finished off with winter and jumped right into Spring Break! This year we took a long roadtrip to stay with family in Kelowna, B.C. The trip was a first for us because we haven't driven along the Trans Canada Highway into British Columbia before. I was a bit nervous since early spring can be unpredictable weather wise. Snow tires are mandatory in B.C. from October to the end of March. Turns out we really didn't need them outside of chilly Manitoba. The worst weather we got was on our way out of town! It was smooth sailing after that despite being a 20 + hour drive. Yikes! 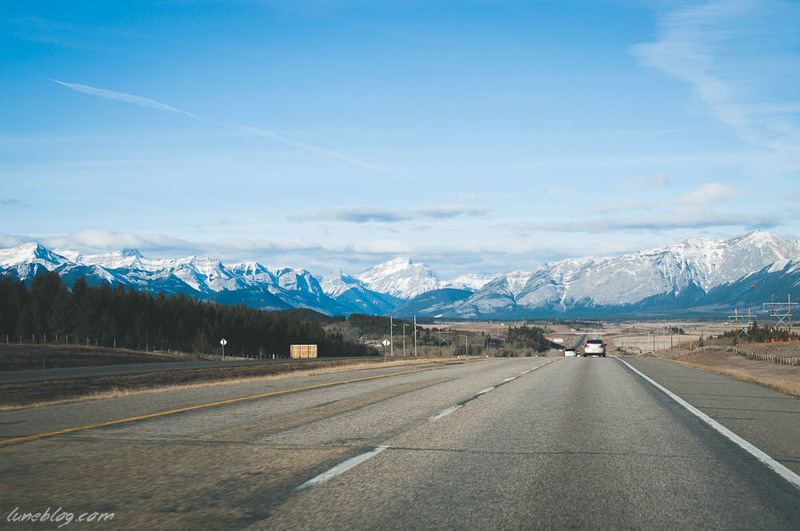 Here's a little photo journal of the most scenic parts of our road trip from Canmore, Alberta to Kelowna, B.C. This was a familiar part of the drive for us, but one that NEVER get's old. The rocky mountain views are jaw dropping. Snowy peaks topped with fluffy clouds loom overhead as the road winds around them. Here, all the evergreens stand like tall, somber sentinels to the tree line, where permanent snow caps take over. As we crossed the B.C. border and entered Glacier National Park, the avalanche signs began. The highway lead us through numerous tunnels designed to protect drivers from snow slides and rock falls. It is humbling to look around and realize the only link to civilization is the road you are currently traveling on. All else is wilder than wild. It takes a lot of safeguards and effort to keep that wilderness from taking over that one lonely lifeline. We found a great spot to lunch at in the lovely ski town of Revelstoke, which made for a nice break from all that driving. The Taco Club had a delicious menu including fresh made ginger beer and the juiciest slow cooked chicken tacos. The kids were thrilled with the excuse to eat only nachos for lunch. If we drive here during the summer I'd like to spend a bit more time checking out the shops and one of the other inviting restaurants. 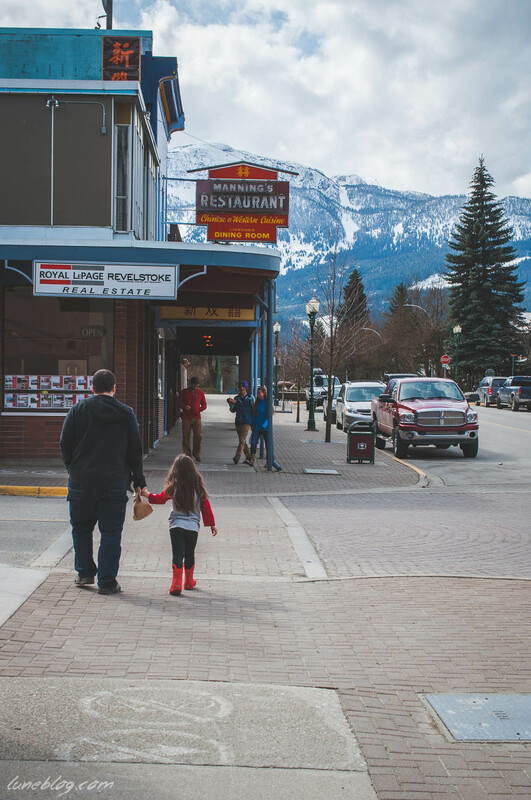 Revelstoke Mountain Resort is a popular ski destination, so there's that to consider too! After Revelstoke things started to really green up. The temperature began to rise as we left the rocky peaks behind and entered green valleys. Mountain runoff created small roadside waterfalls. I started to spot little patches of crocuses popping up, spring's first flowers. We stopped quickly to admire a view of Shuswap lake. This August we're going to be spending a week in a houseboat on that expansive, beautiful lake. Definitely looking forward to that! From there it wasn't long before we were rolling into Kelowna, near 4:30 pm with a fresh made mojito waiting and big hugs from friends and family we've missed so much these past few months. Houseboating on Shuswap Lake , B.C.